What does the room say about its owner? This speaking activity involves describing pictures and speculating about their owners (their age, occupation and interests). This downloadable handout is best suited for high school students and elementary school students at Pre-intermediate (A2), Intermediate (B1) and Upper-intermediate (B2) level. 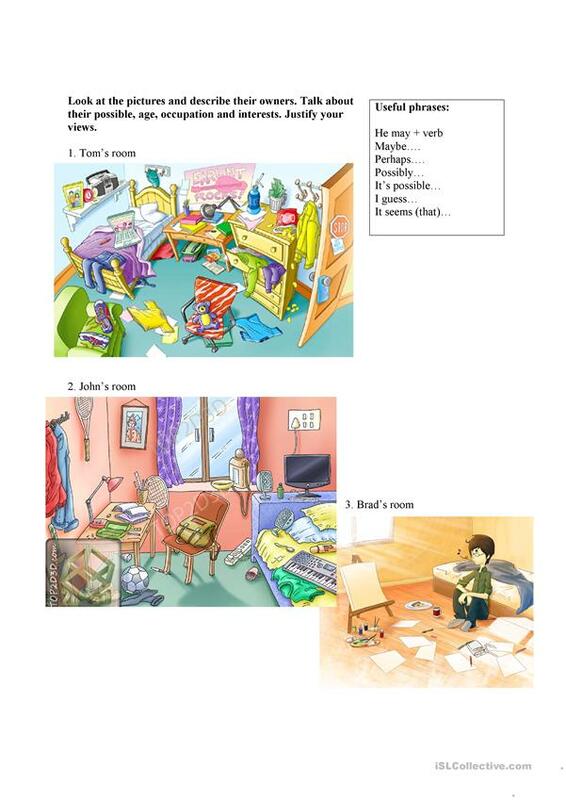 It is aimed at revising MAY or MIGHT in English, and can be used for developing your learners' Speaking skills.